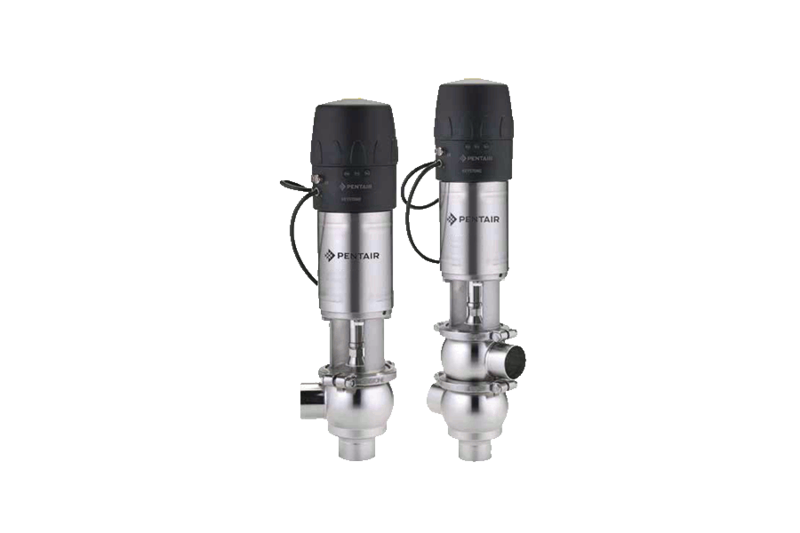 Pentair hygienic Single Seat Tank Bottom Valves F273J+ (formerly sold under the brand Keystone) are used to control process or CIP fluids exiting and entering tanks or vessels. 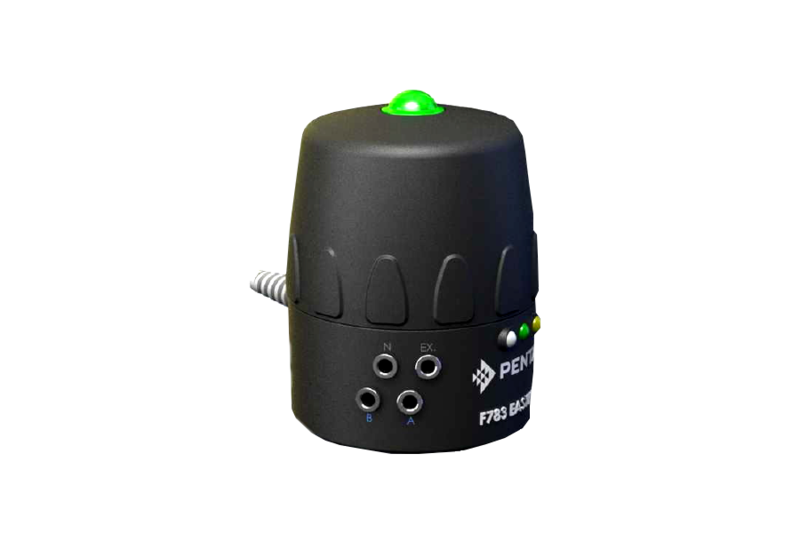 Pentair offers a variety of options that allow monitoring and control of the valves through a PLC control system via the Easymind control unit. 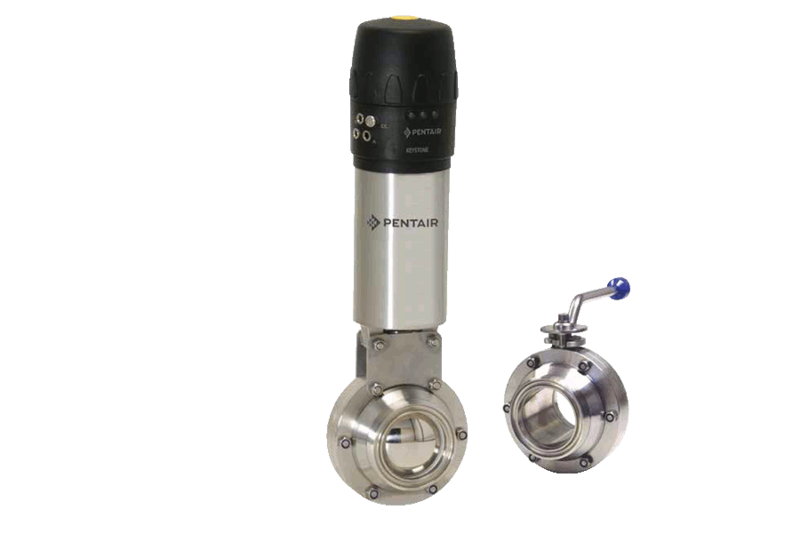 Pentair Single Seat Tank Bottom Valves are operated by compressed air, via a linear pneumatic actuator or manual operator. The at-rest position of the valve when actuator is fitted with a spring, although normally closed, can also be provided in the normally open position, this is determined by both the plug configuration and the actuator mode combination being used and as selected at time of order. I.E. Spring Extend (SE) actuator with an Int. plug type will result in a Normally Closed (NC) valve, therefore SE + Ext.= NO, Spring Retract (SR) actuator with an Int. plug type will result in a Normally Open (NO) valve, therefore SR + Ext.= NC The mode can also be easily changed on site by simply inverting the actuator assembly. (See separate Installation, Operation and Maintenance Instructions for details). When air pressure is applied to the cylinder, the valve plug moves through its entire stroke changing from one state to the other. 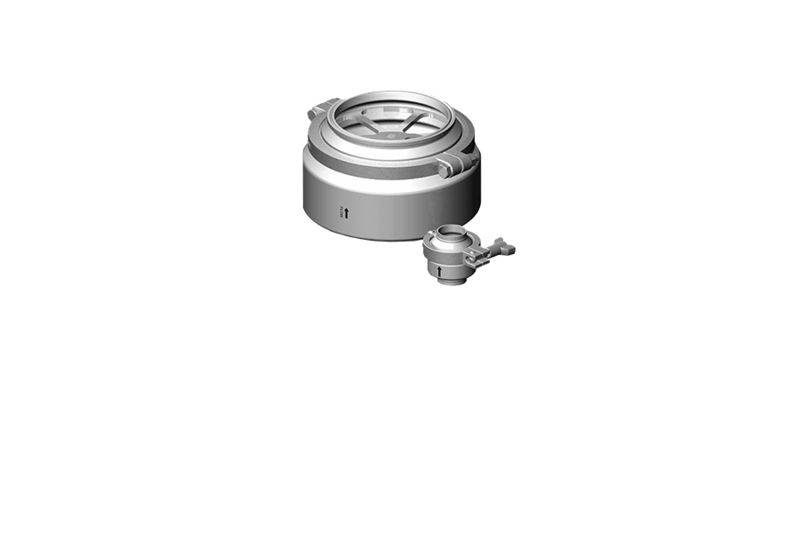 In the case of the single seat tank bottom valve from open to closed. These valves have only a few simple moving parts resulting in a very reliable valve in service. 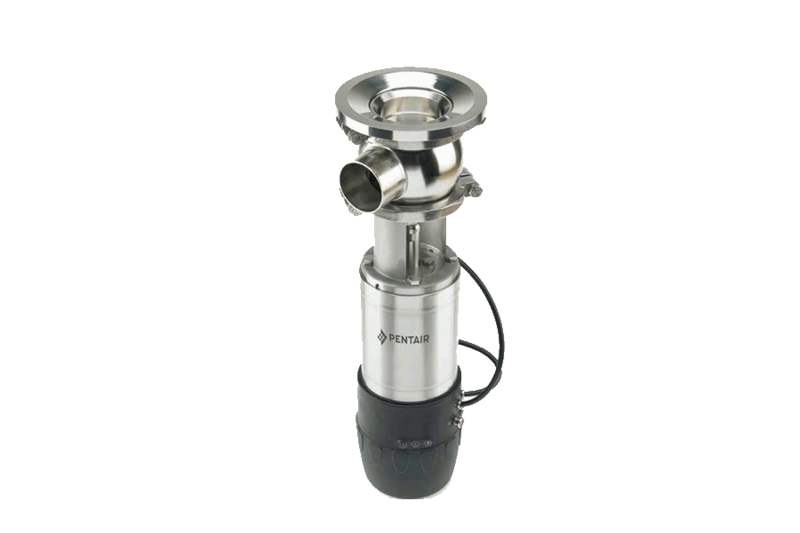 Pentair Single Seat Tank Bottom Valves are used to control process or CIP fluids exiting and entering tanks or vessels in the food processing, canneries, wineries, dairy, brewing, pharmaceutical, beverage and chemical industries.